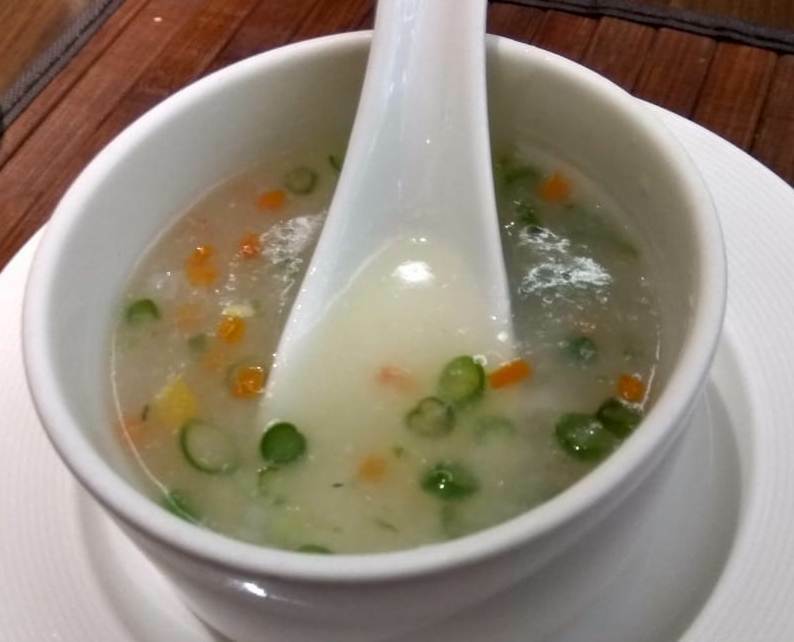 Sweet corn is one of the most popular chinese soups. It does not require too many ingredients and it's very easy to make .This can be had anytime of the day – for Breakfast, as a part of the meal, starter or for evening Snack. It is quite easy to prepare and retains the fresh taste of the corn. In a small bowl Combine cornflour and ¼ cup of water and mix well till the cornflour dissolves completely. Than Keep it aside. Heat the butter in a deep non-stick pan than add ginger and garlic and sauté on a medium flame for a few seconds. Add sweet corn, crushed sweet corn and mixed vegetables, mix well and cook on a medium flame for about 1 minute and keep stirring continuously. Add 4 cups of water, cornflour-water mixture, salt and pepper, mix well and cook on a medium flame for another 4 to 5 minutes and keep stirring occasionally. Serve immediately, you can spike it up with some peppy sauces while serving, like with chillies in vinegar. Must Give this warming soup a try. A must try for everyone who loves sweet corn.